When you get locked out of your car, home, or business, it’s both a scary and frustrating experience. Accredited Locksmith Service of Bowie and surrounding cities is here to offer you emergency lockout support to get you back in control of your property with quick response times and friendly service. We help you keep that control by repairing broken locks or installing newer, stronger locks at your request. 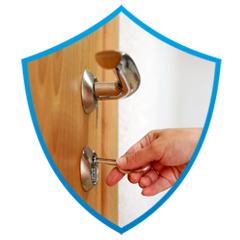 Don’t stress over locks and keys; let Accredited Locksmith Service come to your aid in a flash. Bringing more than 30 years of experience to the table, we offer comprehensive services that cover everything from helping you in an emergency lockout situation to repairing old, broken locks that pose security issues in your car, home, or business. We take pride in providing high-quality service and workmanship to the residents of Bowie, Maryland, and the surrounding areas. As the number-one locksmith in the area, we work tirelessly to maintain our reputation and welcome any kind of customer feedback, so we can continue to improve our work. Glenn Dale, MD, Odenton, MD, & Upper Marlboro, MD.